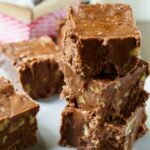 Velveeta Chocolate Fudge is a simple treat for the holidays with a wonderful texture and lots of chocolate flavor. You can’t taste the cheese at all but it helps the fudge set up with a wonderful smooth and creamy texture. Velveeta cheese isn’t just for nachos. You can even make candy with it. Truly delicious candy. When I serve this Velveeta Chocolate Fudge, I neglect to tell people it is made with Velveeta cheese. Velveeta Fudge sounds a little off-putting. 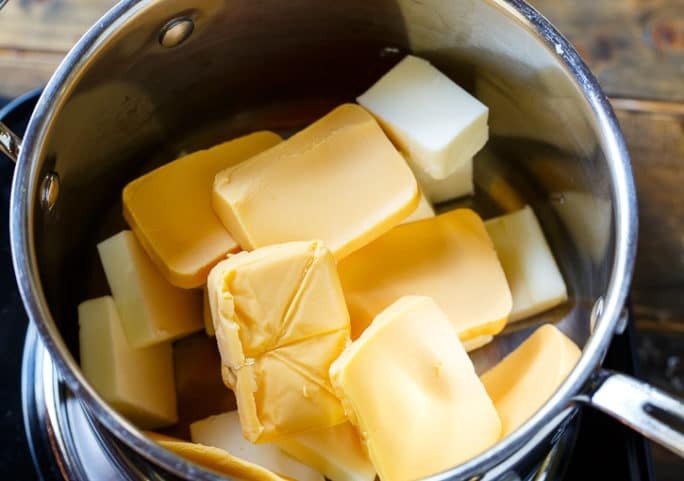 You only need 8 ounces of Velveeta cheese for this recipe. Whenever I buy a 16-ounce block of Velveeta cheese to use 8 ounces for something and don’t know what to do with the other 8 ounces, I remember this awesome recipe. This is a recipe that’s been around for years but I think a lot of people are not familiar with it. I like to add just a few nuts. One half a cup of either walnuts or pecans. If you want more nuts, double the amount. If you don’t want any nuts, you can leave them out. 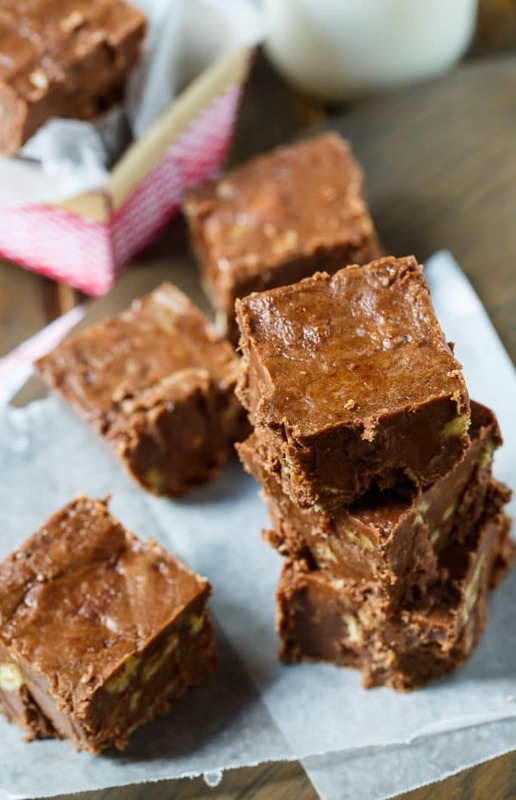 The Velveeta cheese not only gives the fudge a great texture, it adds plenty of saltiness. You can use either salted or unsalted butter. 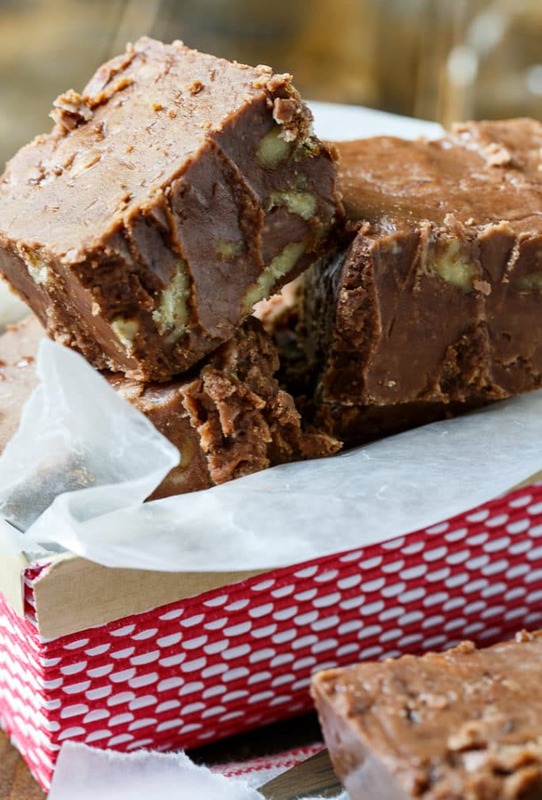 If you use salted butter, the fudge will be on the salty side. I actually prefer it that way, but if you are not a huge fan of salty foods, use unsalted butter. 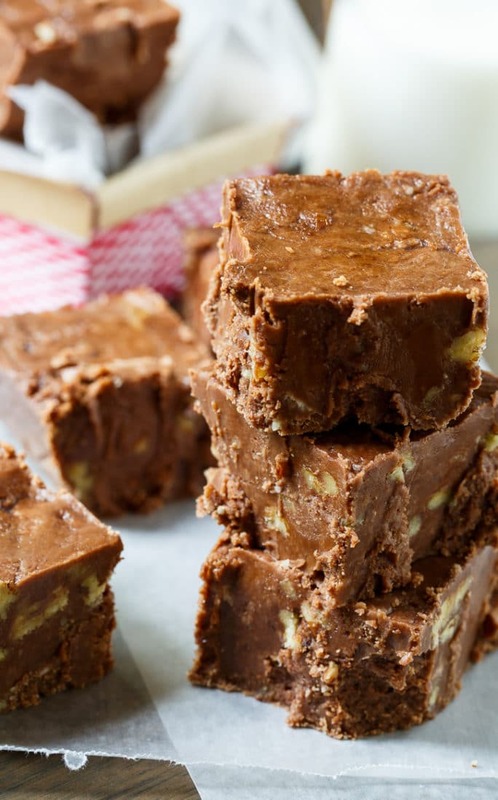 Velveeta Chocolate Fudge is a simple treat for the holidays with a wonderful texture and lots of chocolate flavor. You can't taste the cheese at all but it helps the fudge set up with a wonderful smooth and creamy texture. Place powdered sugar and cocoa powder in a large bowl and whisk together. Line an 8-inch or 9-inch pan with aluminum foil or parchment paper. In a medium saucepan over medium heat, melt the Velveeta and the butter. Once melted, pour into the bowl with the powdered sugar. Add the vanilla and nuts. Stir well. Transfer to prepared pan . Press it evenly into the pan. Refrigerate until firm and cut into pieces. This entry was posted in Candy and tagged chocolate, fudge. Bookmark the permalink. 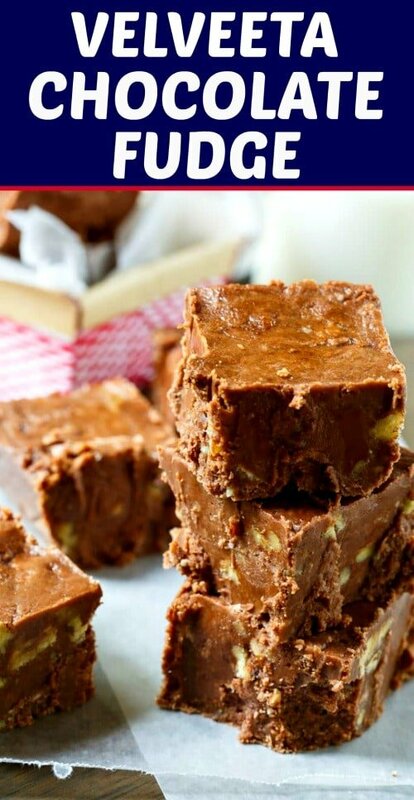 Has anyone tried making peanut butter fudge with Velveeta?